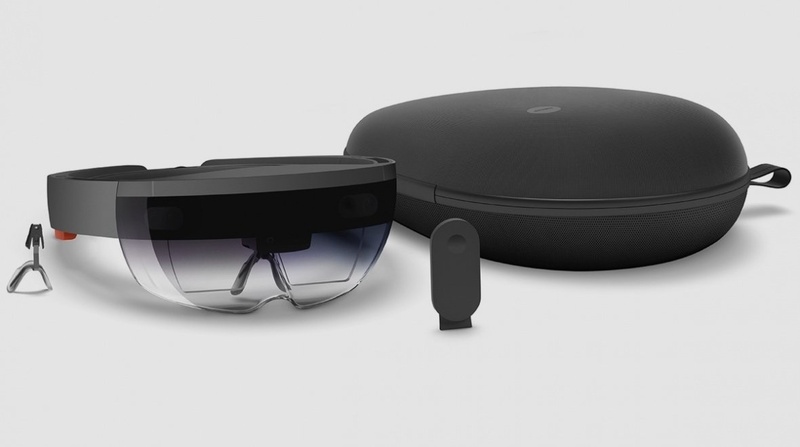 Good news UK AR fans, you can now pre-order Microsoft HoloLens with the headset set to ship in November. The bad news is that it's still only meant for developers and commercial use. Priced at a not so wallet-friendly £2,719, that figure is based on converting the $3,000 it costs to buy one in the US. It's now also up for pre-order in France, Germany, Ireland, Australia and New Zealand. You can buy one directly through the Microsoft Store as opposed to applying to own one as was the case when it launched in the US and Canada earlier this year. It's the same Development Edition units that has already been available along with the Commercial Edition (£4,529), which is geared towards enterprise and adds more security and device management. Microsoft made its augmented reality headset available to buy in the US and Canada back in August allowing anyone with a Microsoft account and a US/Canada address to buy one. So it looks like we're still going to have to hold out a while longer yet for a consumer ready HoloLens. But it's a positive thing that more developers can get their hands on it and make sure there's plenty of apps when it's finally ready to land in our homes.